Success on the SAT essay depends upon using time efficiently. You might be capable of writing a prize-winning essay, but if you can’t do it in twenty-five minutes, it won’t help you on the SAT. Even the strongest, most confident writers have underperformed on the SAT essay because they did not make good use of the time. That’s why this section is so important. Read it carefully now and review it often between now and test day. Below are six suggestions for using your writing time wisely. The best way to get used to writing an essay in 25 minutes is to, well, practice writing essays in 25 minutes! Don’t cheat when writing practice essays. Stick to the 25-minute limit every time. Train your brain to instinctively know what 25 minutes feels like. You want to be able to sense the half-way point and when you are getting close to the end. 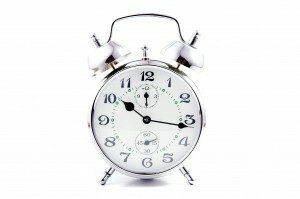 To really get comfortable with that 25-minute time frame, we suggest you do as many timed writing projects as possible. The more practice you get, the more comfortable you’ll be come test-time. One way to get some practice is to enroll in a WriteAtHome SAT Essay Prep course. Or simply sit down several times each week, set a timer, and write an essay. You can find lots of previously-used SAT essay questions online. The College Board, which runs the SAT, makes them available. Every second counts, but don’t skip over the instructions. The passage or quotation and the Assignment section are most important. It’s vital that you understand the topic, so take your time here. Remember, if you write on a topic other than the one given, you will receive a score of zero. Be sure you read and clearly understand the passage and subsequent assignment. In fact, we recommend that you read the assignment first and the quotation or passage second. The most important part of the instructions are in the part labeled Assignment. It’s possible that you could read the quotation and misunderstand what you are being asked to respond to. The Assignment section clarifies that, so pay special attention there. Because outlining takes time, many SAT-takers are tempted to skip it and jump right into the essay. We think that’s a mistake. Taking a few moments at the beginning to organize your thinking in an informal outline will not only improve the organization of the paper, but will also save you time in the long run. It will help you avoid that stuck feeling when you’re midway through a paper and don’t know where to go next. It’s not necessary, of course, to craft a detailed formal outline. You won’t be turning it in; it’s for your own benefit. Jot down your thesis and two or three supporting points in the proper order. Use bullets if you like instead of numbers and Roman numerals, but map out a plan at the outset. Another mistake students make is leaving no time for proofreading. When you are writing under pressure and time constraints, it is particularly easy to make careless errors. Do yourself a favor and stop three minutes before time runs out to give your paper a quick run-through. Mechanics and usage are part of the evaluation, so you’ll want to tidy up as much as possible. Tension and anxiety are not your friends. You will do your best if you are relaxed and confident. Preparing well by practicing on your own (or taking a class like those offered by WriteAtHome) will help relieve some of the worry. Also, remember that all the SAT essay readers are aware of the time limitations you will be operating under. They know not to expect polished, publishable essays. An essay doesn’t have to be perfect to receive a high score. So take a deep breath, think happy thoughts, and do the best you can! This is only a suggested guideline. If you can read the assignment and draft a rough outline in less time, great! That will leave you more time to compose the essay. And if it takes a few extra minutes to get your outline together, that’s no cause for alarm either. Just be aware that if you are seven or eight minutes into your time and still tinkering with the outline, you should leave it as is and get started writing! Keep this time management advice in mind as you prepare for the SAT essay. As you practice improving your writing, you should also be practicing time management.